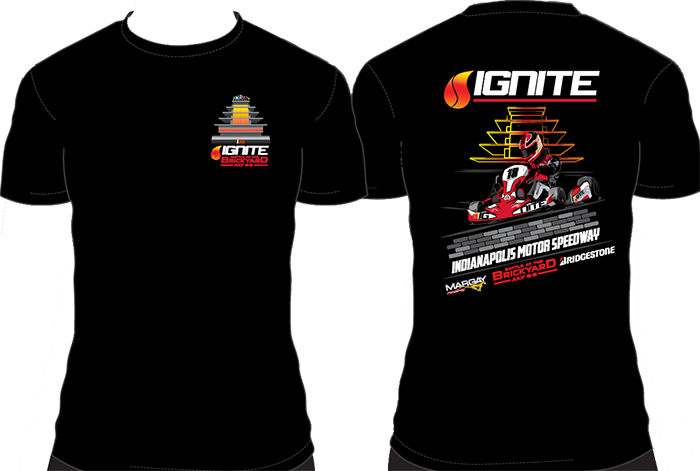 Event t-shirt from the 2016 Ignite Shootout held at the Rock Island Grand Prix. Event logo and graphic work lay on a Gildan 100% cotton t-shirt. Missed out on the fun? You can still be a part of the team with an event shirt! Missed out on this year's Ignite Battle at the Brickyard? 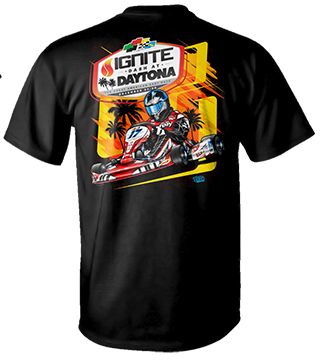 The 2017 event shirt is now available! 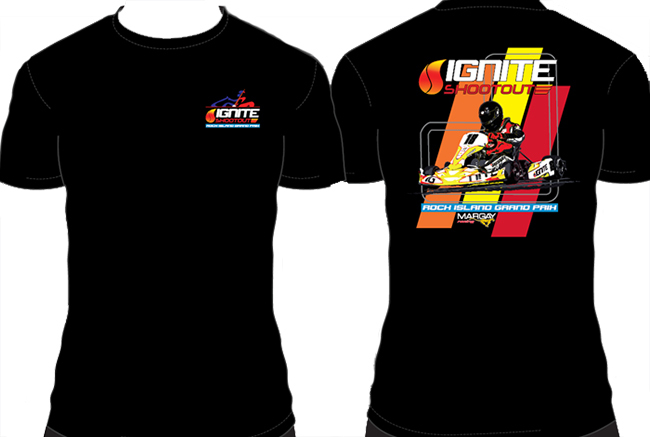 Event t-shirt from the 2017 Ignite Shootout held at the Rock Island Grand Prix. Event logo and graphic work lay on a Gildan 100% cotton t-shirt. Missed out on the fun? You can still be a part of the team with an event shirt! Missed out on this year's Ignite Battle at the Brickyard? The 2018 event shirt is now available! 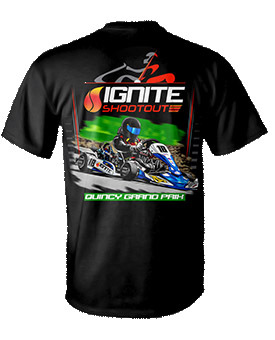 Event t-shirt from the 2018 Ignite Shootout held at the Rock Island Grand Prix. Event logo and graphic work lay on a Gildan 100% cotton t-shirt. Missed out on the fun? You can still be a part of the team with an event shirt! Missed out on this year's Quincy Grand Prix? The 2018 event shirt is now available! These original FlexFit hats feature the original FlexFit elastic headband in both a S-M and L-XL sizes. It utilizes poly-weave spandex material and has a mid profile flexible bill. These hats are fitted with no need for adjustment. Represent Margay Racing in style with our new Ogio team polo shirts. Designed to handle the curves, the Ogio Glam polo has a contoured fit and unique open hem cuffs with O debossed metal snaps.. They are available in red, blue and black. Represent Margay Racing in style with our new Ogio team polo shirts. 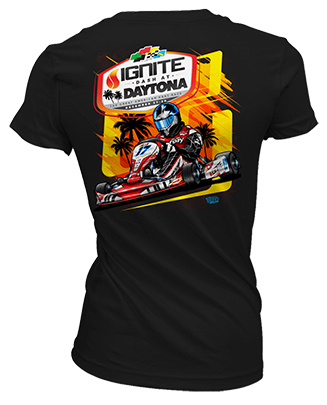 These 5-ounce, 100% poly shirts feature stay-cool wicking technology to help keep you cool on hot racing days. These are available in red, white and black. 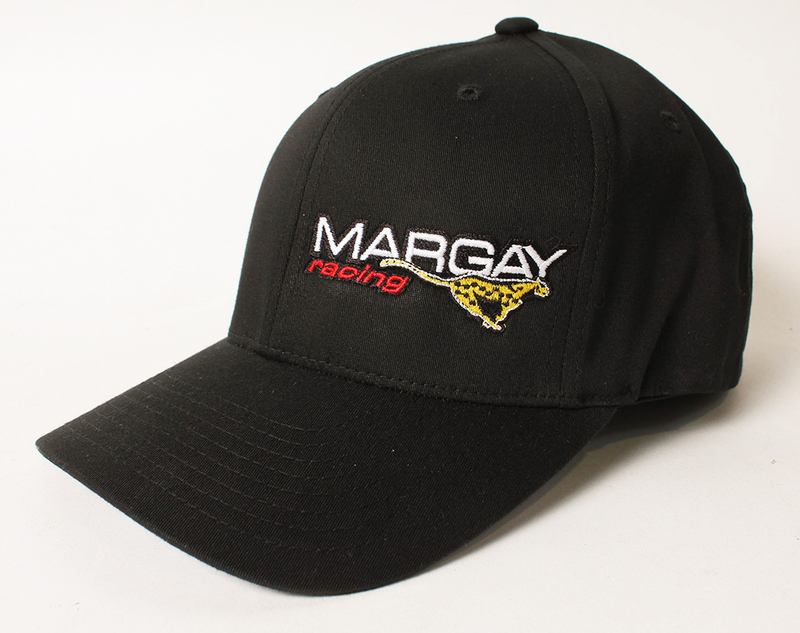 Get the latest Margay gear to keep your look at the track up to date. This Gildan heavy cotton shirt combines a sleek and edgy look with maximum comfort and fitment. All sizes come in 100% cotton and are preshrunk.